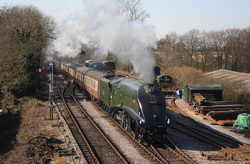 A4,60019"Bittern" approaches Medstead and Four Marks station on the 10.40 Alresford to Alton service. 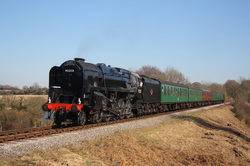 850"Lord Nelson"..10.51 Alton to Alresford. Taken from a vantage point close too the A31,near Four Marks,60163"Tornado" passes in the distance,working the 11.10 Alresford to Alton service. 9F 92212..11.21 Alton to Alresford. 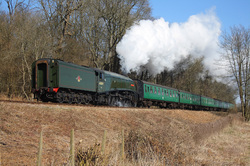 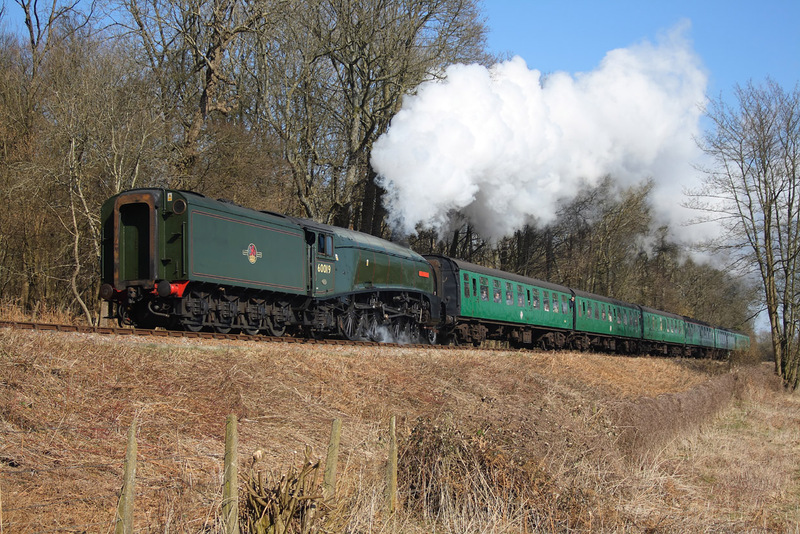 Billed as "Star of the Gala",60163"Tornado" passes by at Chawton Park Wood on the 11.51 Alton to Alresford service. 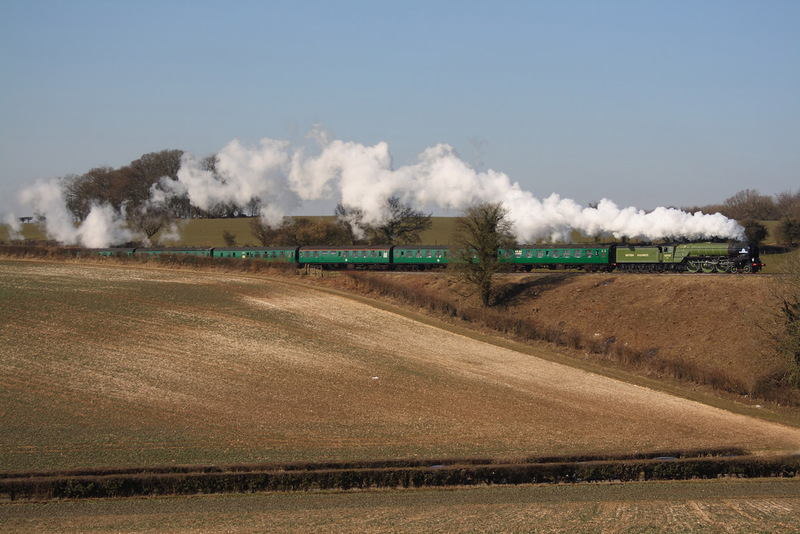 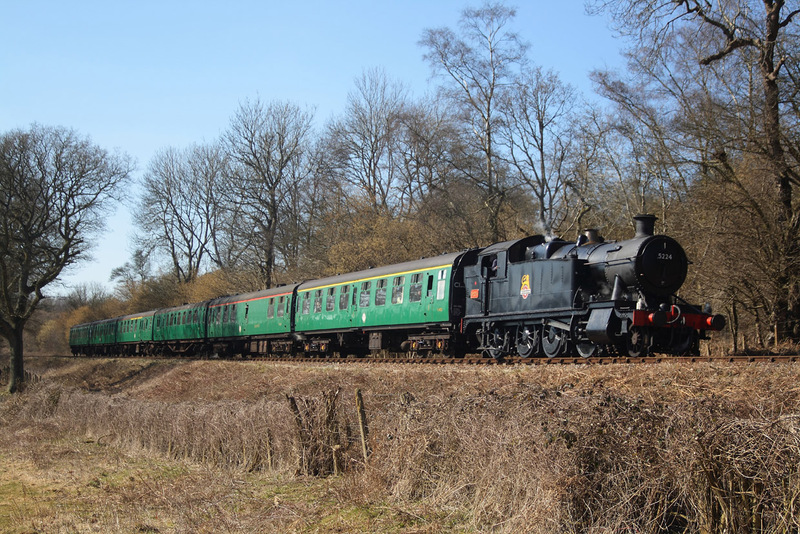 GWR Tank,5224,11.40 Alresford to Alton. 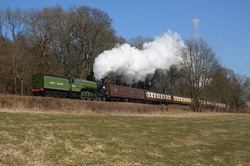 A4,60019"Bittern" 12.21 Alton to Alresford. 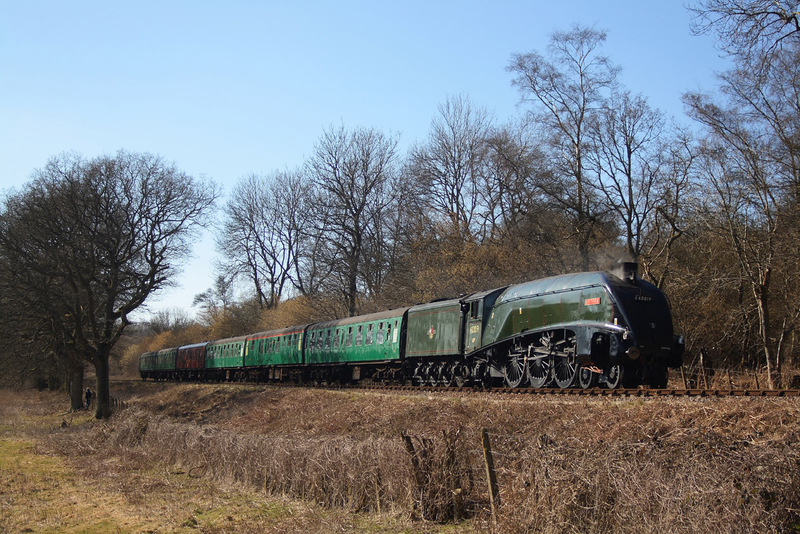 Having seen A4,60019"Bittern" barely 30 minutes previously going the other way,i can only presume it only went as far as Ropley for one reason or another before returning to Alton,as seen here passing through Chawton Park Woods. 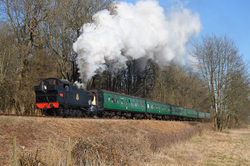 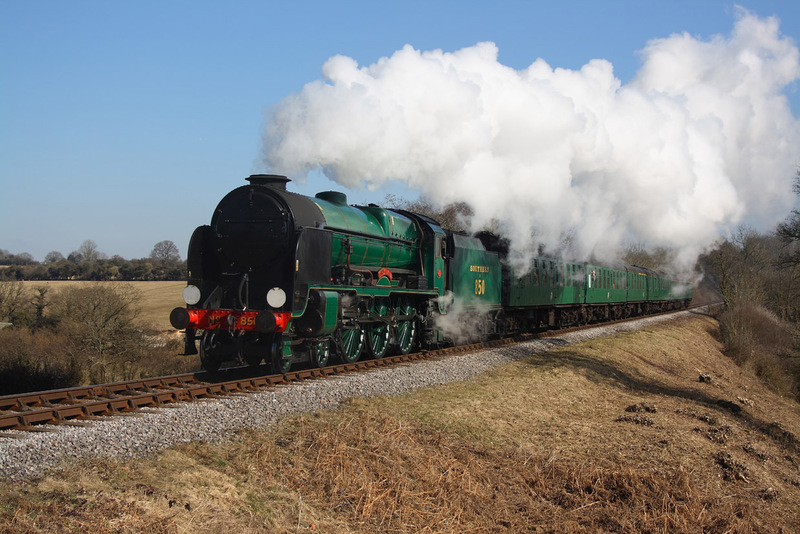 GWR Tank 5224 passes through Chawton Park Wood on the 12.51 Alton to Alresford service.